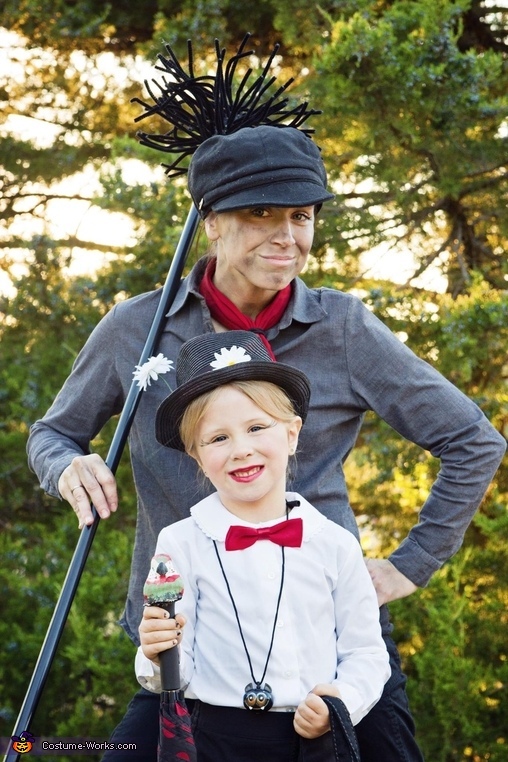 My daughter was Mary Poppins and I was Bert. She has her black pencil skirt with button up white top. Red bow tie. I bought a cheap black hat and made the head piece to put on it. Bought the umbrella and made the parrot head for the handle. My costume was all goodwill. Pants, shirt, and hat. Found plastic stick and stuck a lot of pipe cleaners on there for chimney sweeper.